Throughout the many years that I have been involved in the fight against Dementia-Related diseases, I have been approached with various and sundry questions and concerns regarding how a person with dementia will handle all that comes with surgery. A common query continues to be whether or not a loved one with this disease should have surgery, whether serious or minor. Most often it is the legitimate concern about postoperative complications. Well, I’m extremely glad they’re asking these questions. For any patient there are many apprehensions about the effects of anesthesia. Now add dementia to the mix and the number of inquiries will be multiplied. It is highly important to ask these questions preoperatively. In cases involving the elderly, the challenges in recovery are already high. However, those with preexisting cognitive impairment at any age are at higher risk of postoperative deterioration. I have personally witnessed this complication in many people that I know and care about. So, when asked these questions my answer is “yes, there is reason for concern.” Anyone having general anesthesia is at risk for postoperative delirium. Inquiries need to be made, and a plan should be put into place. 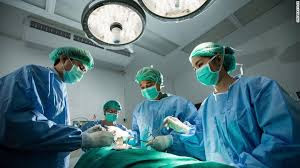 First of all, it should be determined whether or not the patient is able to understand, retain and process the information that is being presented before giving consent to surgery. If not, this person’s power of attorney, health care surrogate or legal guardian needs to be intimately involved. You may question why I’m even stating this, but you would be surprised by the amount of people living alone with dementia. Do consider that their level of cognitive impairment will likely be enhanced due to the current effects of the ailment they’re experiencing, for instance, pain. A detailed consultation with the anesthesiologist is a must, and not the day before surgery. This conversation should take place weeks ahead of time, if at all possible. Any diagnosed dementia-related disease needs to addressed, such as Lewy Body dementia, which your anesthesiologist may not even be familiar with. In addition, a list of the medications the patient is currently prescribed must to be made available. This should also include any herbal supplements. Many of the dementia medications themselves may cause side effects with the anesthesia. This is especially vital when dealing with anti-Parkinson’s meds. All choices of anesthetics should be discussed at length and, even more importantly, is this surgery absolutely imperative? Is it a life-threatening situation? And here is yet another thing to consider: Is the person with dementia living with depression? Depression in and of itself can influence cognitive recovery. (It’s a known fact that most everyone diagnosed with a dementia-related disease is going to go through bouts of depression.) The question should be, how severe is theirs? It is clinical? We also need to consider not only the cognitive losses that may come into play, but all that the recovery process entails. Will the patient be cooperative during physical therapy? This was a serious problem after a surgery my father went through. He fought everyone tooth and nail in rehab. He was so confused I couldn’t even convince him he had had surgery, although he was very upset about the new scar that went clear down his abdomen! The advice that I give everyone is that if this surgery is a life or death situation, you have no choice. But I have seen too many friends with dementia lose years of cognitive ability after choosing minor surgeries. If this is, for instance, a knee surgery, and you believe they can go without it, you might consider other options. Time is very precious. The bottom line is that we need more clinical trials on the damage that may occur. Consider second and sometimes third opinions. Surgery is the bread and butter for most hospitals. Don’t let anyone rush you into making this vital health care decision; if there is time to make it, take it. If you love my writings, you’ll love my speaking events. I have learned it’s best to not only educate people on dementia through their minds, but through their hearts. If you’re not in the the Florida area, invite me to come to your area or put me in contact with someone in your area to schedule an Dementia Care Seminar or train your staff above and beyond like anything you’ve seen before! 761 E. International Speedway Blvd. www.dementiamentors.org and check out our short amazing videos all done by those living with dementia and the rest of the website.